Helping users discover relevant content. 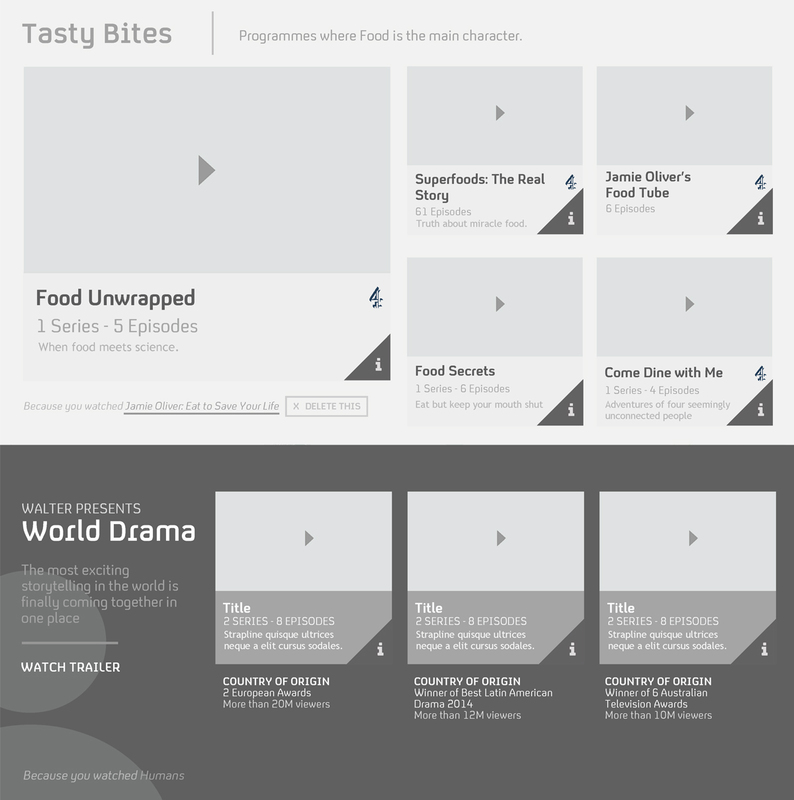 All4's on-demand (Channel 4, a British television broadcaster) needed an important update to help users find and discover content through a seamless experience across their site and dedicated apps. 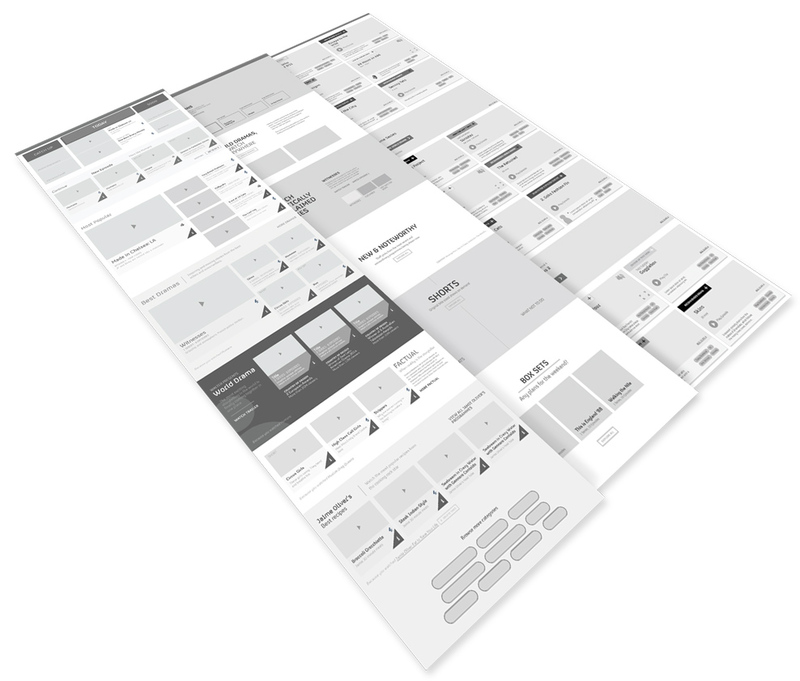 I worked as a UX designer for London-based digital innovation studio Reason, looking at editorial discovery, browsing mechanics and social currency to help concept, prototype, test and ultimately design what the next version of All4 site and apps would look like. One of the proposed ideas explored how users could find content related to their tastes by using curated groupings (collections) that would be displayed based on user's history, devices and preferences; always showing the triggers for these suggestions, giving users full control of personalisation. Examples showing the different states of a tile using an info tool. On desktop, the different states would be revealed by rolling over a tile, whereas on tablets and mobiles, a user would need to tap the info icon. I'm very happy that some of the concepts we delivered as part of the UX phase (collections based on user preferences) are now live on their site and dedicated apps. Prototyping ideas quickly using pen and paper and popular tools like Sketch, Keynote and Invision.